This month marks the end of Keepmoat Homes’ second year of operations in Scotland and the senior appointment of a new Regional Managing Director, Peter Matthews. The UK homebuilder opened its regional office in Glasgow in 2016 and since then has brought over 200 new homes to the country through a number of multi-million pound developments. There are now 84 members of staff at the region and the team has ambitious plans for the future, aiming to deliver over 300 new homes through managed and controlled growth by 2019. Peter Matthews has joined Keepmoat Homes to head up the Scotland team after spending over 10 years at Taylor Wimpey, where he was most recently Managing Director for East Scotland. Peter brings to Keepmoat Homes decades of experience in management positions at companies including RAC plc, Reuters plc and Goldman Sachs International. Speaking about his new appointment, Peter said: “I am very excited to have joined Keepmoat and about the growth prospects for our business in Scotland. “There is a fantastic opportunity here to build new communities and transform the lives of our customers using Keepmoat Home’s partnership model. Keepmoat’s first development in Scotland was Langlea in Cambuslang, Glasgow, which delivered 28 new homes. This was followed by a further eight developments across the country, with the latest offering being the 826 homes the housebuilder is creating at the Sighthill Transformational Regeneration Area (TRA) in Glasgow. This is the biggest regeneration scheme of its type in the UK outside of London. The demand for new high quality homes across Scotland is a key factor in Keepmoat’s ongoing success. 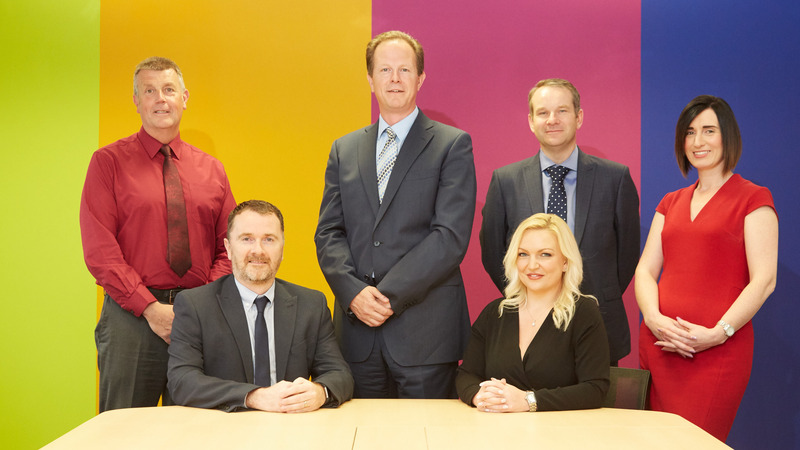 Pictured above, left to right: Peter Forrester, Head of Construction; Jim Kennedy, Technical Manager; Peter Matthews, Regional Managing Director; Laura Mitchell, Sales Director; Malcolm McMichael, Commercial Director and Beth McNeil, Operations Director.